P.O.Box 187, St.George's, Grenada W.I. Apartments come with washer/dryer, movable beds, high speed internet, dressers, closets, desks with chairs, couch and dining table. Fully Equipped Kitchen including: full size gas range and refrigerator, microwave, dishware, small appliances. Internet service, gas, water (including hot water), parking, garbage disposal and standby generator are included in the rent. A deposit of one month's rent is required to secure your Apartment, and First and Last Month's Rent are due at move in. 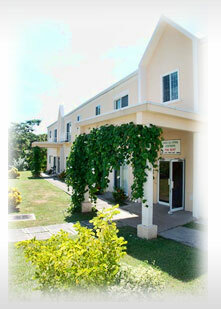 Lance Aux Epines Apartments, P.O.Box 187, St.George's, Grenada W.I.